NEWS, October 5, 2018 (YOGA NEWS) - Yoga Journal has announced a new women's magazine called The New Yoga Journal, whose first number will be released beginning the next year. We have discovered that this new magazine will be dedicated to the same target group that was once read by the Yoga Journal, but today it is adapted to the modern women of the 21st century. Yoga Journal was a great magazine in its time - explains Jean Foresthill, one of the editors in chiefs of a future magazine. Yoga Journal was a magazine in which women once have received a handful of tips on food, knitting, childcare and other western yoga affairs. The "The New Yoga Journal" will be a magazine for contemporary women dealing with completely different things, such as Meditation, Kabbalah, Reiki, energy flow through chakras, raising your vibration through Bakasana and other abstract topics. These untouchable themes are especially popular nowadays when the most women are divorced and free to do whatever they want, adds Jean Foresthill. The title page of the first issue of "The New Yoga Journal" magazine will be a photo of a blond girl in a cloud of energy, and, as we learn, talented journalists in the editorial office will carefully copy and paste all the texts from numerous yoga blogs and sign it with their name and surname. 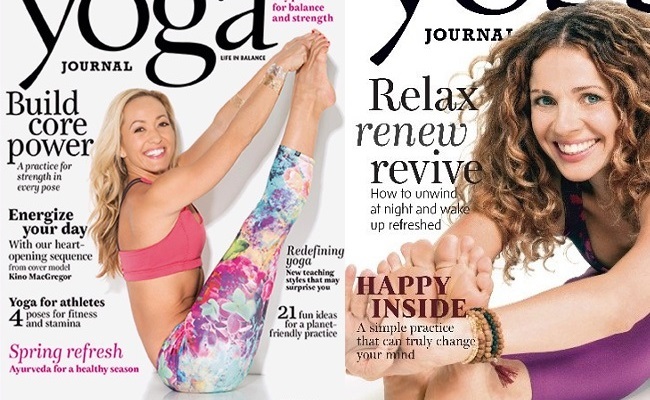 The old magazine is dead, but nobody told that to Kinno McGregor and Seane Corn, “For us, Yoga Journal was always about a love of magazines, a love of image making; and a desire to create something beautiful, honest and optimistic without an agenda beyond that." Launching in January 2019, the new magazine will feature a selection of spiritual but not religious items. The new column “Do new things, take risks and embrace novelty,” is expected to be a real hit. It will replace the current column “I get bored if I leave my comfort zone.” The new magazine’s eclectic content features pieces on yoga celebrities, self-psychoanalysis and the benefits of eating the raw mango. One of the best times of the year deserves one of the best magazines of the year, and we have full confidence this will be one to look forward to and remember. The New Yoga Journal will be issued quarterly, the retail price is $9.95 per issue, or you can subscribe for a year for $39.80. But if you subscribe now, they are offering a 50% discount.